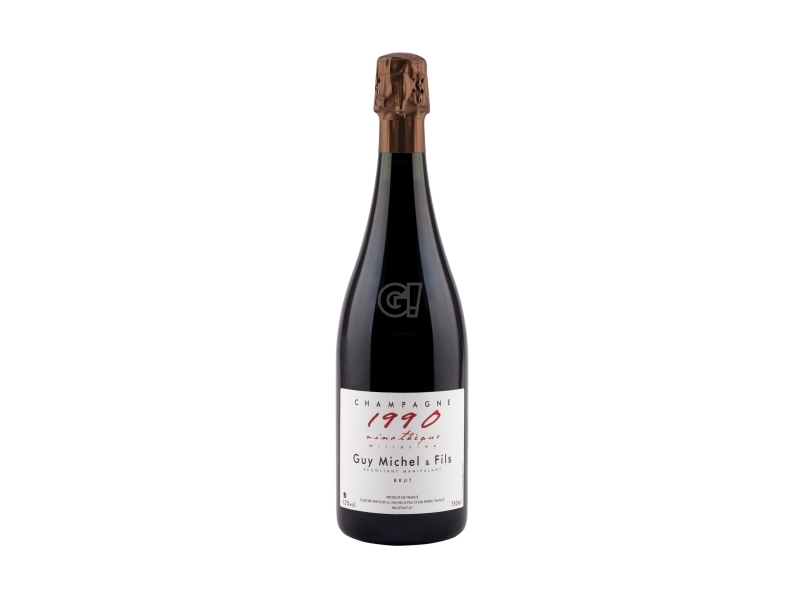 The Champagne Vinothèque Millésime by Guy Michel are part of a collection of the best vintages, rested on their yeasts and recently disgorged. Authentic Champagnes. representing the Maison style at its best, for a very limited quantity per year. The Millésime 2002 is 50% Chardonnay, 40% Meunier and 10% Pinot Noir. Brut dosage and a period of 14 years on yeasts. Degorgement on 23rd March 2017. 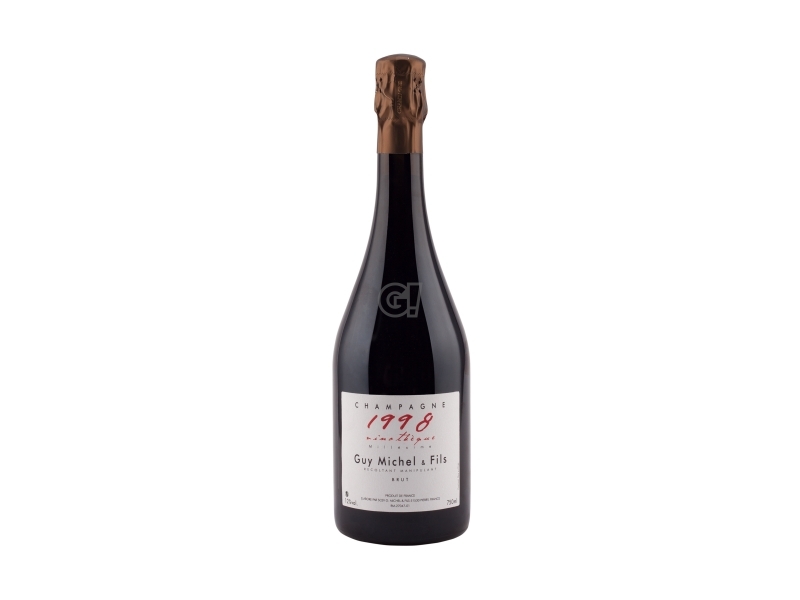 Guy Michel is a vigneron located in Pierry, a small village south of Epernay in the heart of Vallèe de la Marne since 5 generations. The property can count on 20 hectares over 10 villages and every harvest has a different range of grapes: 50% Meunier, 30% Chardonnay and 20% Pinot Noir, coming from different climate and soil conditions. This advantaging condition is particularly important when assembling the Cuvées, even though it can cause a complicated organization of the vineyards. Despite this, the majority of the vineyards is grassy and this displays the great attention and care of all workers and owners, since a large part of the whole process is still manual. The same philosophy applies to the cave, where vinification takes place in stainless steel tanks with local yeasts, late degorgements and dosages according to the market needs, which means shortly before they are sold and not before 7 years from the bottling phase.